The meeting comes after many attempts by Mofaz to bring Abbas to meet with him. He recently indicated that he means to meet with Abbas in order to get the peace process going, which is one of the four major issues to be addressed as part of the recent coalition agreement between Likud and Kadima. Channel 2 News reported that the upcoming meeting between the two was organized by Kadima MK Yisrael Hasson and attorney Yitzhak Molcho, who is Prime Minister Binyamin Netanyahu’s chief negotiator. 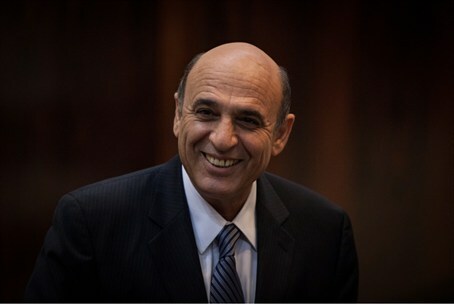 The report added that the message Mofaz intends to convey to Abbas is that he should take advantage of the broad coalition consisting of 94 Knesset members and use it as an opportunity to advance the peace process. Mofaz recently publicly called on Abbas to take advantage of the large coalition and begin peace negotiations. Channel 2 noted that Netanyahu is allowing Mofaz to try to bring Abbas to the negotiating table because of his desire to keep Kadima in his coalition. Abbas’ chief negotiator, Saeb Erekat, recently said Abbas will demand the release of 123 long-term prisoners before agreeing to meet Netanyahu.